These were the words in my invitation to a reception promoting Project Safe Passage honoring Dr. Deb Walters’ efforts to raise funds via her Kayak trips. 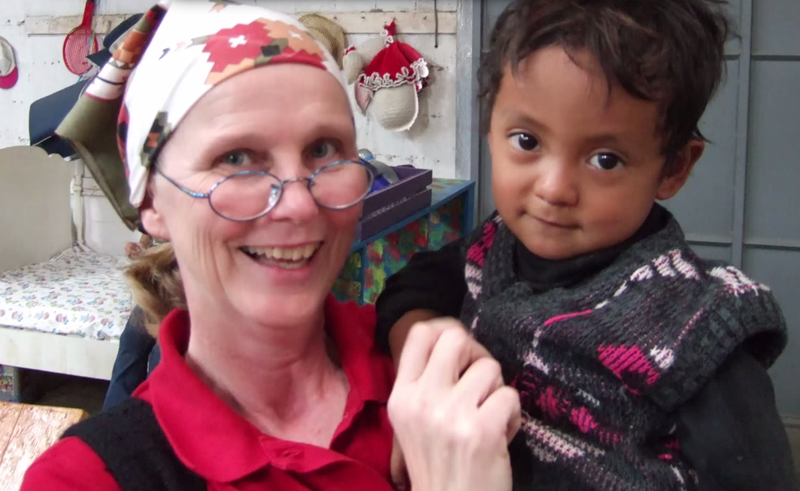 A stellar professional career behind her, this woman is paddling with passion in her mission to rescue children and families who live in the garbage dump of Guatemala City in Guatemala, providing them with literacy programs and medical help. Over 9 million people live in Guatemala City, Guatemala, and 10,000 of those people scavenge for food in the city garbage heap and for any items they can find to sell to survive. Safe Passage was organized in 1999 to rescue these people from their dire situation through literacy and medical help. Kayaking is Deb’s way of fund-raising for this organization. She has reached 92% of her goal to raise $ 150,000.00 to fund expanding the school to include grades 3 and 4. Safe Passage Educational Center houses classrooms, a cafeteria, library and a medical clinic, serving nearly 2000 family in 2014. Provides literacy: English speakers are 3 times more likely to get a job. Incomes of Safe Passage graduates are 5 times higher than that of the average resident of Guatemala City. Provides teacher training for local public schools. She says every day “feels like I’m jumping off a cliff!” Typically she paddles 2-8 hours daily, monitored by her husband Chris back home via a tracking device that reports her whereabouts every 10 minutes. He helped her assemble tents, suits, cooking ware, and other travel equipment. The children of Safe Passage have donated yellow, rubber ducks “El Patito Amistoso” for her kayak, so she has companionship while she travels. Deb has encountered sharks, alligators, and whales. When she encounters a marine animal, she “looks them in the eyes while she sings.” Once however, at night she and her kayak were flipped over by a manatee on the Inter-coastal Waterway in Florida. Once she kayaked out of the U. S. security zone, and the Coast Guard came after her with guns a-blazing. She could have been fined $ 500.00 and served 3 years in prison. The officers relented, however, when they discovered her cause and escorted her to safety. She is hoping to resume this latest trip in October and complete the remaining miles to Guatemala City. One 73-year-old woman in the garbage dump enrolled in Safe Passage so she could help her grandchildren do homework. She herself learned to read and now she is writing her Memoir! Maybe your story is not as dramatic as Deb’s, but it has involved getting out of your comfort zone. 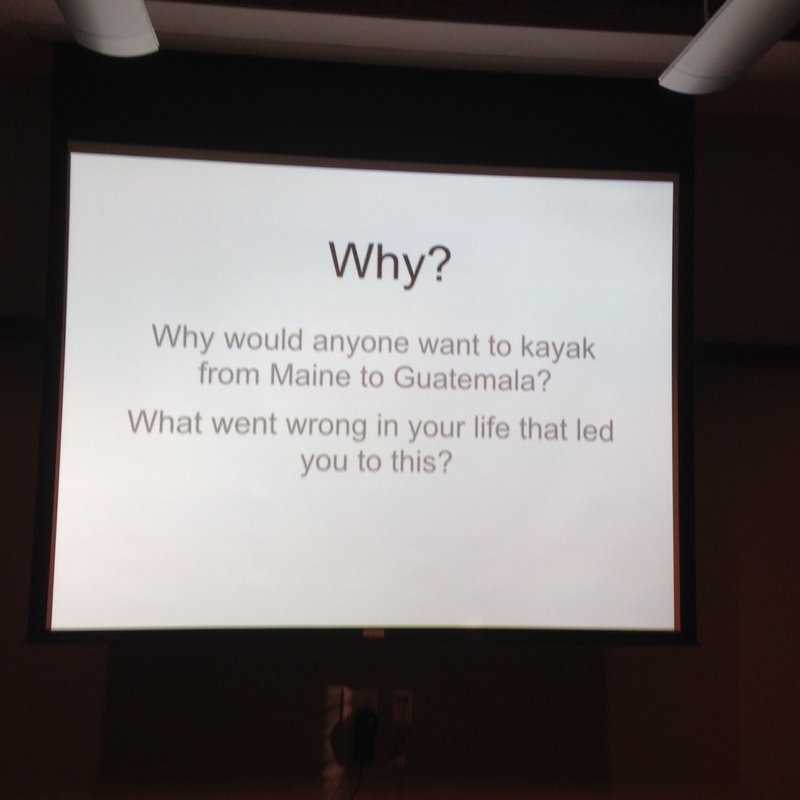 We’d like to hear about it – or your response to Deb’s adventure. I\’m always amazed by people like her. Wow! Me too! And she is soft-spoken and unassuming in person, which makes her accomplishments even more impressive in my book. I saw her on Facebook. Wow! Just Wow! She combines a love of adventure with her social conscience – great when that happens! 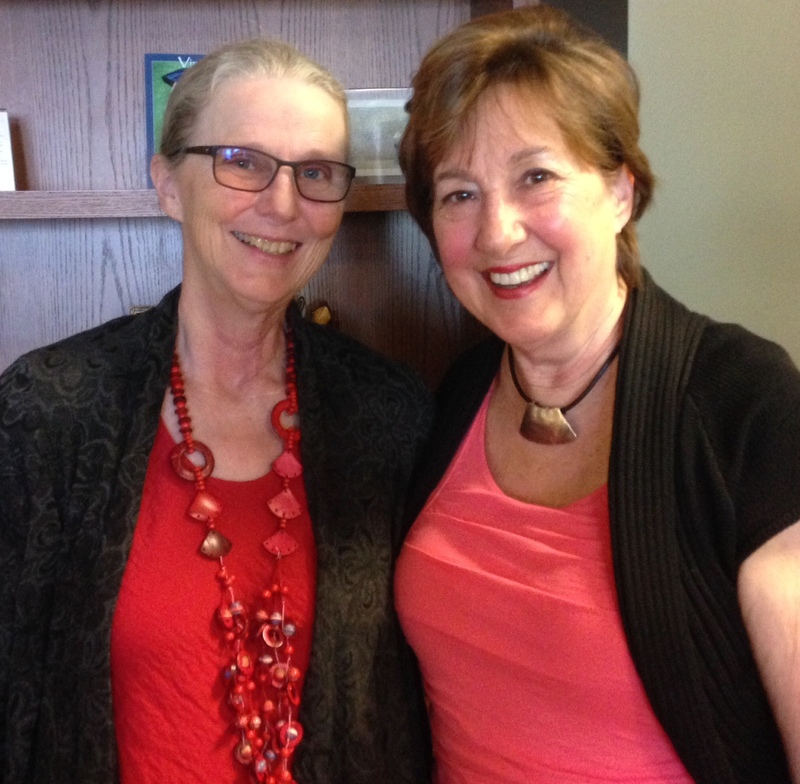 Readers, my former colleague, Pat Ellis, invited me to this reception to meet Deb. Pat, thank you for providing your email for others to get notifications of future events here in Jacksonville, If you live on the east coast, Pat could inform you of other stopovers. There will probably to an update from Deb in the fall. Note: Anita has traveled all over the world and tells adventuresome stories on her website, which you can click on above. Thanks, Marian, for the special note! What an amazing women to see a need and take such drastic measures to help the children from sickness and being illiterate. What a blessing for that country. I remember when I was in New Life for Girls we had started an outreach in York. A few of us went out recruiting children for a summer camp. We fed them lunch planned activities, took them to swimming pools and picnics in parks. We even took them overnight to a cabin where they can go water tubing, volley ball treasure hunt and games. It was a full day. After everyone went to bed I couldn\’t sleep because fear crept in. We were in a secluded place somewhere in Pennsylvannia. I thought what if someone tries to get in here to hurt the kids we had 17 kids including my daughter Shanti and some staff people. Praise God all was well. They woke up to pancake breakfast had more games prayer and let\’s go. That was our end of summer event. The children want to keep meeting during the school year, so I had to find a place. I found one which the owner was willing to donate for the cause. Now I had to raise money so I took pictures of the kids and all the activities we did put on slides and started making dates at churches to present the slides. Bossler church was my first presentation where we took the choir, showed the the slides and I spoke of our plans. The church raised our first $500.00. Then we went on to more meetings. We felt compassion and got great support. But the director of New Life for Girls chose not to go through with the project took me off the outreach committee and put on cleaning director of the facility. I was devastated! I felt as if I let the kids down but submitted to the new position. I still think of those children in 1978 who are now adults. But God always puts me in places to help. I love being able to reach out. Friday when I picked up my children from school, Demetri said to me, \”Well you have to keep fighting for the homeless shelter.\” A girl from school said that she and her family were going to be homeless I told him I\’d keep fighting for it but meanwhile I gave her my number and told her to call me, so I can help them not be homeless. What a gift that my grandchildren are seeing the need. God is good. You are teaching your grandchildren to show compassion even it it\’s not convenient, and even if there is strong opposition. These stories are inspiring – thank you for sharing them here. Thanks for spreading the word – it\’s such a worthy cause. You can\’t keep a good woman down, as this post demonstrates! What a wonderful woman she is! My new hero! Thank you for this lovely story about Dr. Deb Walters, Marian. I could feel the energy in it all. I\’ll check out her own blog post when time permits, and have bookmarked it. It\’s important to get out of our comfort zone every once in a while, to feel the stretch literally and metaphorically. It\’s necessary for growth, I think. We can come back to our comfort zones, appreciating them more and being grateful, more. My sentiments exactly! Even if we would not tackle such an expedition ourselves, we can cheer her on! To me , these are the people who need recognition ( I am sure she would want none of it ) but we the people of the world need to aware of the REAL angels of the world because this amazing lady has literally moved mountains . Wow what a story . I have never done anything really wonderful but I give to charity shops and buy from charity shops …tiny steps . Thank you Marian for introducing us to a trully wonderful lady . Every little bit helps, so don\’t disparage the giving you do. Every big initiative needs supporters like you and me. Thanks for reading and commenting, Cherry! What a way to spread a story like this. Inspiring! Inspirational all around. I did not know the details about Dr. Deb and her work until last Friday. My colleague, Pat, has been an inspiration too, returning to Guatemala for the annual English teacher training. wow, Wow, WOW! — Dr. Deb Walters has my utmost respect. She may not be able to see it from there, but I\’m giving her a standing ovation! And if I could do it, I\’d do handstands, but I think she needs $$$ to help keep that school running. Thanks, always, for your enthusiastic support! She is way braver and more adventuresome than I am … and makes me feel I should spend more of my travel time for a cause more useful than my own education! Deb certainly felt a call to do this – she is very non-judgmental in her presentation, only inspirational, but many of us able-bodied participants came away feeling the same way as you mention here. My colleague Pat, an ESL instructor, who introduced me to this amazing woman goes down once a year to give teacher training. Every little bit helps! Thanks for the comment, Mary, and safe travels to you too. What an inspiring story and what a courageous woman Deb is. Thanks for sharing her, Marian. What powerful work she\’s taken on for the poorest of the poor. Watch out for manatees and guys with guns! Her soft-spoken voice and gentle ways belie true grit. I\’m honored to have met her. So true – she combines love of adventure with devotion to a cause, a worthy woman! Dr. Deb has always loved adventure. She happiest on the water while simultaneously helping kids – what a woman! Thank, Debby!